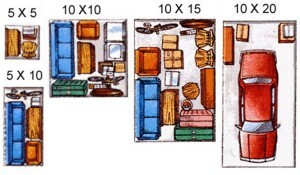 All of the storage units listed above are great for residential / personal storage and commercial / business storage. For more information on storage rental sizes and rates, or if you’re curious about our storage facility security system, please get in touch with us, or click here for storage tips. Please note: Our storage facility is located on the south end of Loveland, which makes it close to Berthoud.